Roger joined the Board in 2003 and was appointed Chairman in 2014. Roger’s background was in retail management before moving into the area of human resources and recruitment, business management and management consulting in the corporate sector. He owned a successful recruitment company for 20 years, consulting to major corporates on business process improvement, recruitment and selection of key individuals and teams. The company had offices in Sydney and Melbourne and employed over 50 staff. Roger currently consults with small businesses on business improvement and holds voluntary positions on several boards. 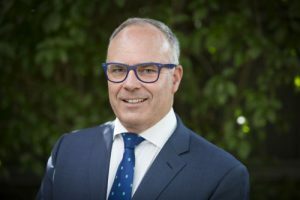 He is a member of the Board Investment Committee and brings an understanding of the commercial reality of the Foundation’s needs, particularly in relation to fundraising. Roger aspires to effect positive change in the lives of disadvantaged children. He is committed to raising awareness of the needs of the children the Foundation helps, in comparison with the good fortune we enjoy in Australia. Roger is inspired to see a child return home healthy and full of hope, and able to attend school with good health restored and being given an opportunity. Don is a solicitor and is currently Corporate Counsel at Property Exchange Australia Limited. Before that, Don worked at the global law firm Ashurst (formerly known as Blake Dawson) where he was a partner for over 22 years and held a number of leadership roles. Don specialises in corporations’ law, mergers and acquisitions, capital raisings and corporate governance. He is also the Honorary Secretary for The Production Company (Australia) Limited. Don is the Deputy Chair of Children First Foundation, and was appointed to the Board in 2013. Don’s association with the Foundation commenced soon after the Foundation was established, both as a supporter of the Foundation and as a lead member of the team at Ashurst that provided pro-bono legal assistance to the Foundation. Don places a high value on the work undertaken by the Foundation, and its holistic approach to the care of disadvantaged children. He takes great pride in the English language skills, self-esteem, self-confidence and leadership abilities that they take back with them to their home country. Peter qualified as an accountant (FCPA) and later as a Financial Planner (CFP). 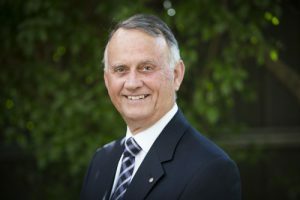 He commenced his tertiary studies in commerce in1966 became a partner in an accounting practice in 1974 and commenced practice as a sole practitioner in 1985. The business grew and became more successful providing services including tax and accounting, superannuation planning, wealth management and estate planning to a range of small and medium enterprises. Peter sold the business at the end of 2011 to concentrate on other business activities including property developments and share investing. He now has more time for golf! Peter has been a member of Rotary International for 40 years. He has held all possible positionas and both club and district level. He was District Governor of District 9790 in 2008/09 and served as District Treasurer on five occasions. He has received a number of awards and recognitions from Rotary. 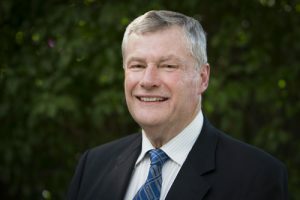 Peter first became associated with Children First Foundation from incorporation in 1999 when he agreed to act as auditor. He resigned as auditor in 2006 to join the board as Honorary Treasurer. He also chairs the Investment Committee. 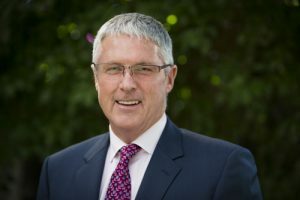 Jeff Hudson retired from the financial planning industry in 2013, after a 40-year career which included managing his member firm with Genesys Wealth Advisers Ltd for 19 years. During that time, Jeff assisted in developing the strong relationship between Children First Foundation and Genesys resulting in donations of $1m over ten years. Jeff continues to use his connections within this industry to make further presentations resulting in further donations. After family duties, Jeff is involved with Kiwanis International and is actively involved with other Australian medical providers assisting Filipino children suffering burns and cleft palates. He also volunteers with Anglicare teaching English to migrants. Jeff is based in Sydney where he focuses on broadening Children First’s base of financial supporters and connections with hospitals and medical providers. Jeff’s varied humanitarian work takes him to the Philippines where he visits families and children who have returned home after being in Australia with Children First and assists children with continuing education opportunities and general wellbeing. One of Jeff’s goals is to build a more comprehensive follow up program for children after they return to their home countries. Sue is a practising General Practitioner in Bayside Melbourne with special interest in women’s health, adolescents and paediatrics. She is a founding member and ambassador for Days for Girls Bayside Melbourne, and has worked with communities in Timor Leste since 2014. Since 2004 Sue has volunteered with Salesian Missions in Timor Leste, supporting young women to access education and health resources and is founder of Bayside Friends of Salesian Missions in East Timor. She is also a founding member of International Women’s Forum Australian Chapter and a member of the Victorian State Committee. 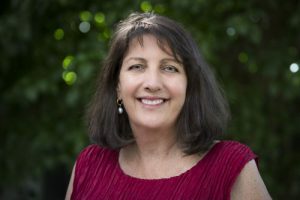 In addition to Sue’s skills as a medical practitioner and international humanitarian in Timor Leste, she has experience in event management, fundraising, media, public-speaking, mentoring and teaching.